The LA BOSCOC General Membership has voted to approve the LA BOSCOC Governance Charter (v3.5). 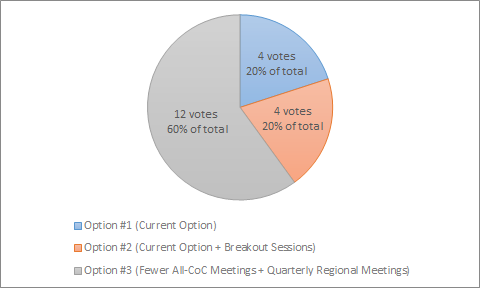 The LA BOSCOC General Membership voted via email. The voting period was 9/6/18 to 9/10/18. The vote passed 10-0. Renamed the Board of Directors to the Board, matching national naming conventions. The LA BOSCOC Governance Charter has been updated to version 3.4. You can download a copy here. Specifies when (and for what reasons) organizations can request a waiver from the Good Standing requirement (organizations cannot receive a Letter of Certification if they are not in Good Standing).